“Specious Recollections,” a solo art exhibit by Kerra Taylor, will open Wednesday, Nov. 8, and run through Friday, Dec. 1, in Spiva Art Gallery. 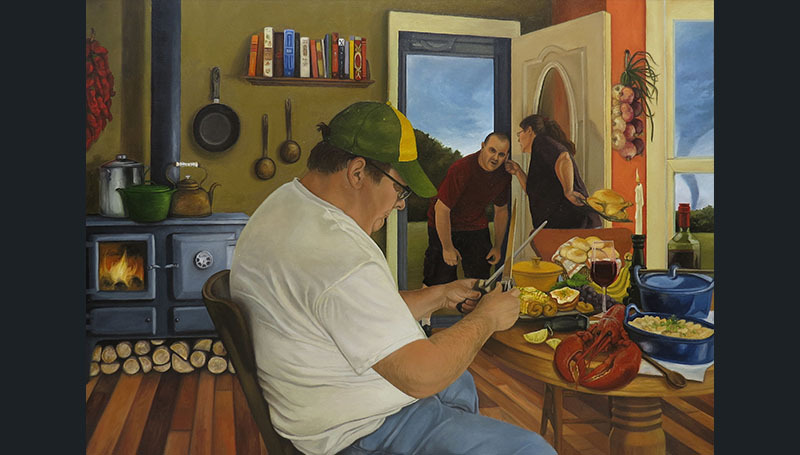 Taylor’s exhibition is comprised of large, narrative paintings of her family. These paintings illustrate embellished memories of her family experiences. She has exhibited her work throughout Missouri, Illinois, Kansas and Indiana, and has also been featured in international shows. Her work has been featured in New American Paintings and other publications. Taylor has an MFA from Southern Illinois University Carbondale and a BFA from Missouri State University. She currently teaches beginning drawing classes at Missouri State University. For more information about her work, visit http://www.kerrataylor.com. An Artist Talk is set for 1 p.m. Friday, Dec. 1, in the gallery, with a reception to follow from 2 to 4 p.m. The Spiva Art Gallery is open from 9 a.m. to 5 p.m. Monday through Friday. It will also be open from noon to 4 p.m. Saturday, Nov. 11, and again on Nov. 18.